On Sunday, The National took a field trip to World Shepherd farm in Oconee County, Georgia. This small but impressive family farm is currently raising sheep in Georgia’s Piedmont region with a focus on sustainability, sound science, and quality product. Their sheep are fed on the least amount of human consumable grain possible, resulting in grass fed meats that are full of healthy protein. They are are never confined or feedlotted, using instead a rotating pasture method. They are free of any antibiotic use. Bravo! During our visit, we watched a flock of their hairsheep in pasture, including even a few lambs that had been born that very day. At World Shepherd, breeding a big focus. The female sheep are excellent mothers, providing diligent care to their young, often, twins. 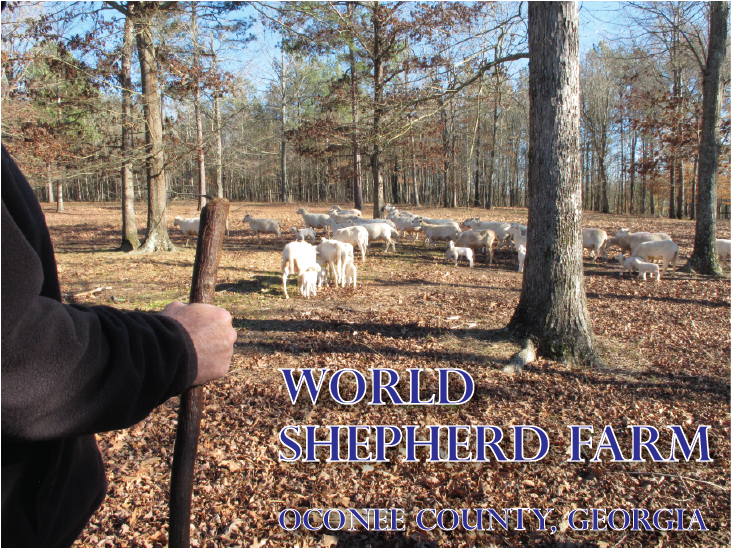 World Shepherd has an eye for the future, looking to carefully breed a strong flock of sheep that will support in their future goal of assisting other Georgia farmers in building their own small sheep business.